The success of an agile transformation is primarily driven by connection that transformation makes with the existing culture of the organization. We know that doing an agile transformation includes cultural changes. The critical piece is understanding the culture so that you can determine what in the culture supports agility and what in the culture is going to hinder agility. A culture that focuses on individual accomplishment and freedom will not support agility well, while a culture that supports doing the best possible thing for customers will support agility. Of course, any given organization will have a mix of cultural aspects that both support and hinder agility. There are a number of methods for examining culture including an excellent corporate culture workshop described in the book “The Corporate Culture Survival Guide” by Edgar Schein. A high level value stream map is an excellent tool for identifying both an overall need for improvement by making the current state of affairs visible, as well as pinpointing where big improvements can be made quickly. More often than not, when we do an assessment for an organization, we are finding that the efficiency of their process is at about 20-30%… in other words, 70-80% of all effort is expended on wasteful activities. This level of waste is often surprising for stakeholders. And of course, making that level of waste visible is a large motivator for the kind of continuous improvement that agile methods such as OpenAgile and Scrum make possible. Of course, even if an organization is not doing agile officially, there are often existing practices that can be considered part of the overall umbrella of agile. A comprehensive assessment that rates a team’s or an organization’s level of use of agile practices gives a good picture at a very practical level of what things you can build upon. For change to be successful, a significant factor is to tie new practices to existing practices. This is a great way to do this. There are lots of lists available of agile practices. 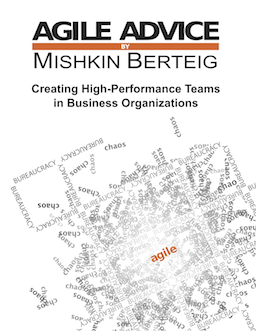 We publish one fairly comprehensive list of agile practices on the Berteig Consulting site (it’s near the bottom of the linked page). There are of course many other things that are done during an assessment, but these three form an effective foundation for any agile transformation plan.